Parents care for and guide children into adulthood. But as parents age, sometimes the roles are reversed. Establishing a plan will help everyone feel more at ease about the years ahead. Here are four common concerns you may face with aging parents and tips to manage each conversation. Multi-level homes and complicated floor plans can make everyday living difficult and dangerous for seniors. However, convincing parents to move into a more manageable home or assisted living may be tough. Suggest the transition early, while parents are still active to help them ease into the idea. If they insist on staying put, consider homecare and installing assistive equipment, like handrails. Driving can be a sensitive topic because for many, it’s a key part of remaining independent. Take 90-year-old Vivian Cash who started driving in 1949. While always priding herself on her safe driving — in fact, she’s never had an accident — she recently pulled into her driveway and stopped too close to a telephone pole, ultimately needing help moving her car. That was when she decided it was time to stop driving. “If I’m driving and I had a problem, I could hurt someone or myself. It just isn’t worth it,” said Cash. Of course, not everyone will be willing to hang up their keys, so approach the topic before noticeable problems surface, such as with vision or dexterity, and agree to certain warning signs that might indicate it’s time to rethink transportation. When it is time for parents to stop driving, help them map out ways to get to all their activities. Most people don’t like discussing wills and life insurance. As a result, they’re often written and not revisited. However, both need to be updated periodically, especially when major life changes take place, like marriage, death or divorce. 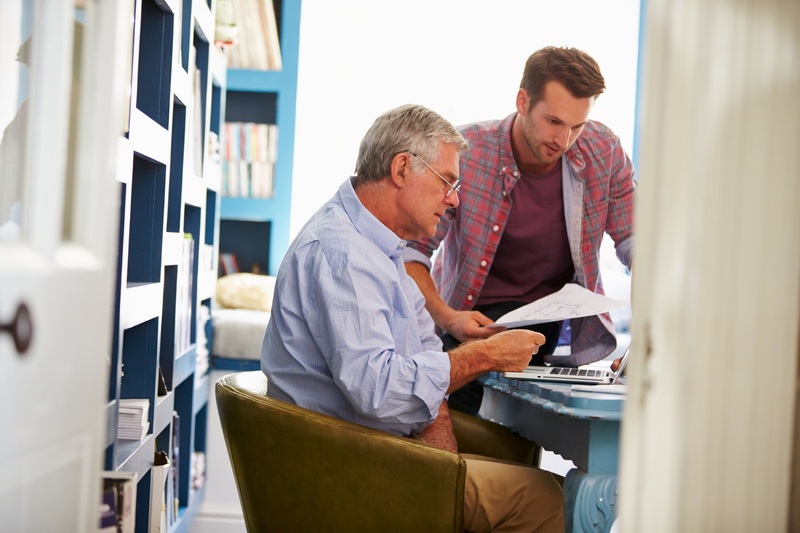 Ensure your parents have a will that’s been updated in the past five years. If not, it should be revised to reflect their current wishes. Establish who will be in charge of executing the details, and determine where documents will be stored. Any updates to wills need to be reflected in life insurance policies, since beneficiaries take precedence over whatever the will specifies. Consider working with a trusted advisor who offers both life insurance and retirement planning, such as an Erie Family Life insurance agent, to ensure parents and family members are covered for the future every step of the way. Finances need to be discussed — from retirement planning, debt consolidation and payment to logistics like where important documents are placed (digital and hard copies). Even if parents don’t want to divulge all their information, getting a general sense of the situation will make things easier when decisions need to be made. Help your parents create a list of bank, benefits, pension and other accounts, as well as usernames and passwords. Keep this information in a safe place, such as a fire-resistant safe. Know where items like tax files, car titles and the key to the safe are kept.